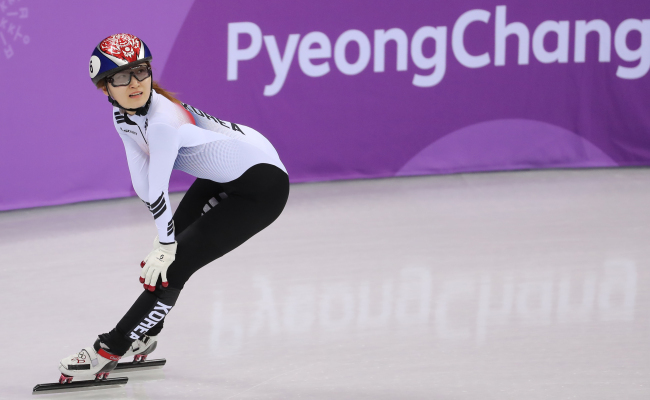 GANGNEUNG, Gangwon Province -- Tuesday’s women’s 500-meter short-track speedskating final at PyeongChang triggered a storm of angry social media posts in South Korea, after the country’s favorite Choi Min-jeong was disqualified after finishing second. Italy’s Ariana Fontana claimed gold in a photo finish, but most of the angry posts were aimed at a Canadian skater Kim Boutin who ended up winning bronze because of Choi’s disqualification. Choi was disqualified for “interference,” which is defined by ISU as “impeding, blocking, charging or pushing another skater with any part of the body,” but many Koreans claimed that Boutin has done the same during the very race, but did not get penalized. Many became especially angry after the overjoyed Boutin hugging her teammates was broadcast live after she was informed that she had just won bronze. At least 10,000 comments, many of them abusive, were posted on Boutin’s own Instagram account, criticizing her for her performance and being “shameless” about winning the medal when she must know that she “does not deserve” it. 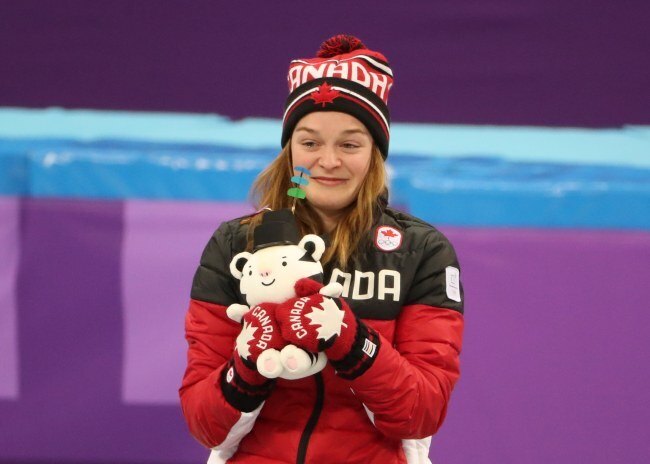 The 23-year-old Canadian skater has since shut down her social media accounts. According to news reports by the Canadian Broadcasting Corporation, Boutin’s father was told that the situation is being “jointly handled” by the Royal Canadian Mounted Police, Canadian Olympic Committee and the sport federation. Some South Koreans were critical of their fellow citizens for attacking Boutin. “It is unfair and unreasonable to criticize an athlete rather than the judge,” said a Twitter user. “I was really embarrassed when I found out so many Koreans posted angry comments on Boutin’s Instagram account,” said another. Choi was as visibly upset after being told that she was disqualified. “I accept the results but I feel bad for those who have supported me throughout this journey,” Choi told reporters while tearing up. The skater is still scheduled to compete in the 1,000m and 1,500m, as well as the 3,000 relay at PyeongChang.